(at the WHITE ROSE 1845) 1846 ? Address as 5 - 9 Castle Street in 1895. 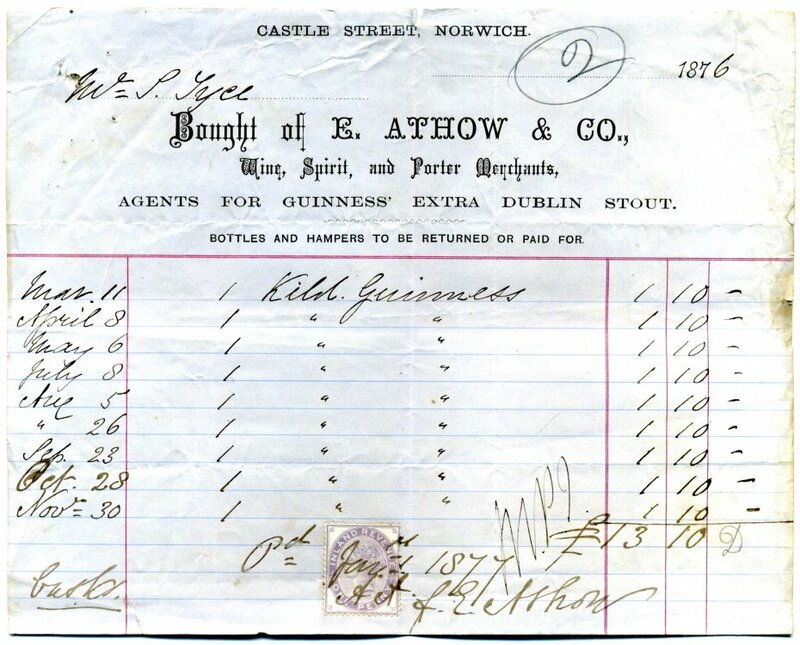 6 day licence held from 1872 to 1963.
and as QUICK'S WINE VAULTS by 1914. Licence transferred to 9/10 Castle Meadow 19.03.1963. Removal to new premises declared final 28.04.1964 and name changed to NORFOLK WHERRY.